Syrian and Russian forces have launched a large-scale attack on a Palestinian refugee camp under the control of Islamic State, as the regime closed in on the last rebel-held territory in the Syrian capital. 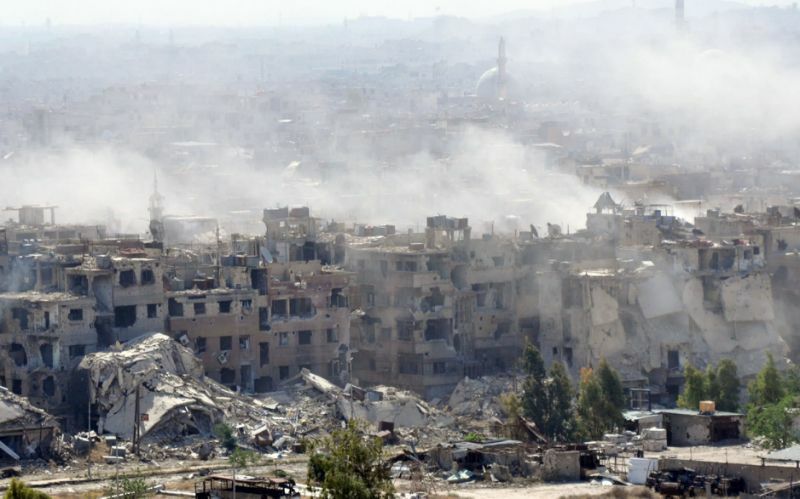 Pro-government troops fired a barrage of air strikes and surface-to-surface missiles into Yarmouk camp in southeast Damascus on Wednesday morning, as they looked to rid the areas of holdout jihadists. Rebels with the Islamist group Hayat Tahrir al-Sham (HTS) agreed to an evacuation deal after the government launched its offensive on April 19, however Isil militants refused to give up their fight. Air strikes have levelled more than 60 per cent of the camp in the last few weeks, leaving the civilians that remain trapped in uninhabitable conditions. 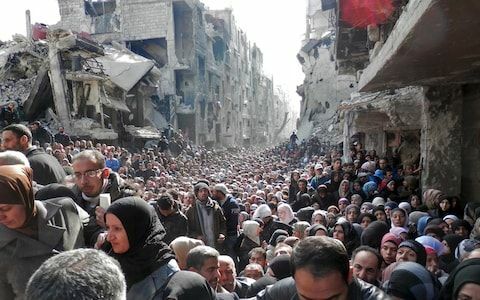 Before the outbreak of the Syrian civil war in 2011, Yarmouk was home to around 160,000 Palestinian refugees - people who had been displaced from their homes in modern-day Israel during the 1948 war, and their descendants. More than 100,000 Syrians also lived in the area. When the Syrian revolution moved to Yarmouk, many Palestinians were forced to take a side. Some sought protection fromthe government, while others looked to the rebel groups. It is now home to just a few hundred civilians after the rest fled, according to United Nations estimates. The body says most of those are elderly residents who have been unable to leave. Yarmouk has become the scene of the heaviest fighting in the country since nearby Eastern Ghouta fell into government hands in mid-April. Dozens of civilians have been killed as well as some 140 fighters from both sides, the UK-based Syrian Observatory for Human Right has reported. Isil released a graphic video of one of its jihadists tying a captured soldier to a plank, filling his helmet with explosives before throwing him off a roof, effectively turning him into a airborne bomb. The area has been used by the militants to shell government areas in the centre of Damascus. 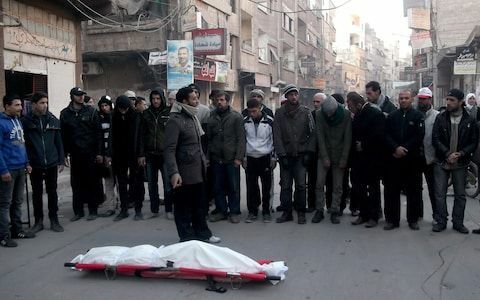 On Wednesday, state TV reported that two people were killed and 19 injured after a rocket fired from “rebel territory”. A victory in Yarmouk would clear the whole of the capital of forces opposed to the government and further cement President Bashar al-Assad's dominant position over “useful”, most populated parts of Syria.